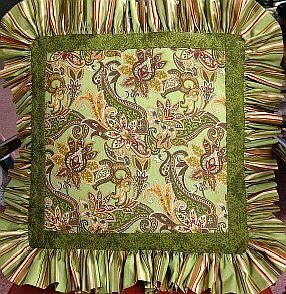 Lauren BOM Quilt - Two Sizes & Two Centers - TWO FREE MONTHS! Programs - Most Include Backing! 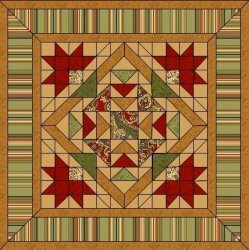 > Lauren BOM Quilt - Two Sizes & Two Centers - TWO FREE MONTHS! 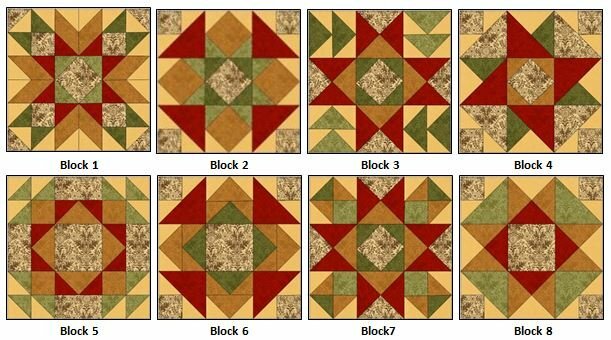 Lauren - Flexible Block-of-the-Month (BOM) Quilt - Two Sizes, Two Borders & Two Centers! Two Sizes - Queen or King! 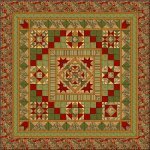 Queen Size - 100" x 100"
King Size - 110" x 110"
The "Lauren" Quilt is a Fabric Essentials exclusive design! 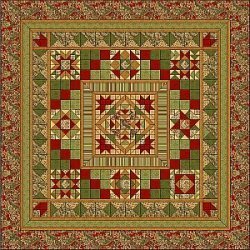 The Lauren collection by Quilting Treasures is a classic, paisley collection colored in home-friendly hues of rich red, brown and amber with accents of olive. So richly elegant and lush that it's perfect to use in absolutely any room of the house. These fabrics were designed with home decor in mind so think of using them for window treatments, chair cushions, table runners and placemats. This project includes the Fabric Essentials full-color pattern with cutting diagrams, a Boo-Boo bundle, and all fabrics for the top, including binding and coordinating backing! 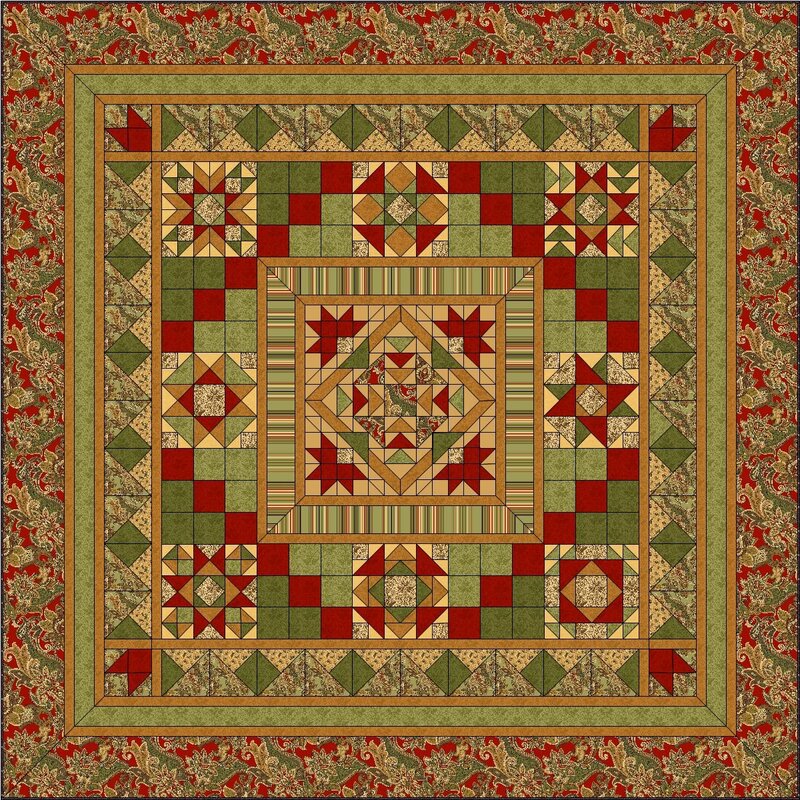 This quilt was designed by Marsha Doyenne and Marlene Nelson for Fabric Essentials. 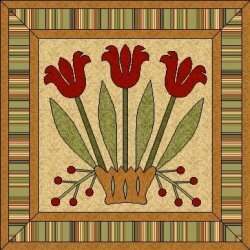 Two Center Choices - Applique or Pieced! 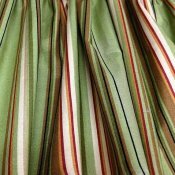 * Outer Border fabric cut LOF so you will have no seams in your borders! We have selected beautiful backing to coordinate with Lauren. Please let us know your 1st choice and 2nd choice. 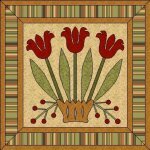 If you are ordering Lauren as a Block of the Month (BOM) program, we will call you to find out if you want the applique or pieced center, how many blocks you want per shipment and how often you want your kits to ship - Monthly or Every Other Month. We will also verify your shipping address, email, and telephone number, and get your credit card details for the BOM auto-ship. 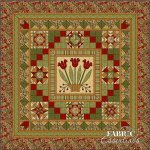 See the fabric collection here! Pillowcases, Bedskirt, Decorative Pillow and Pillowshams! We still have enough fabric if you'd like a set of 2 pillowcases! Bedskirt Kit in Queen & King sizes - includes instructions! Click to order the bedskirt.